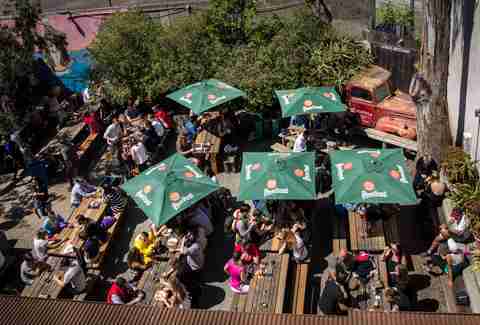 When it comes to places to drink beer, SF has a lot of quality bars and a lot of great breweries. 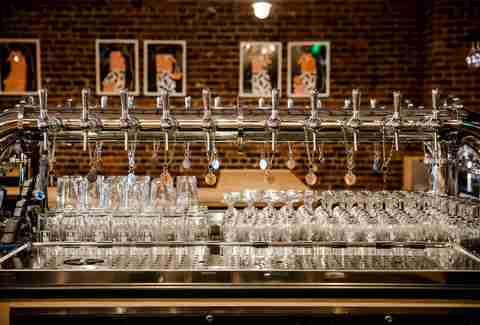 But not every SF beer bar can be the BEST beer bar -- objectively, unequivocally, and backed by a very specific and highly guarded algorithm. Yes, a bar might have a friendly staff, delicious food, and an inviting space, but to be one of the best beer bars in SF, there’s really only one requirement: an exceptional beer list with a mix of craft beers you’ve never tried before (maybe never even heard of before), as well as a few classic favorites. The seven bars below meet that criteria and then some. 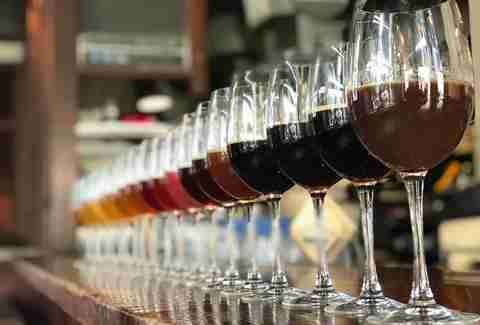 Whether you get into heated arguments on BeerAdvocate or are looking to wade gently into the world of craft beers, the list below won’t steer you in the wrong direction. 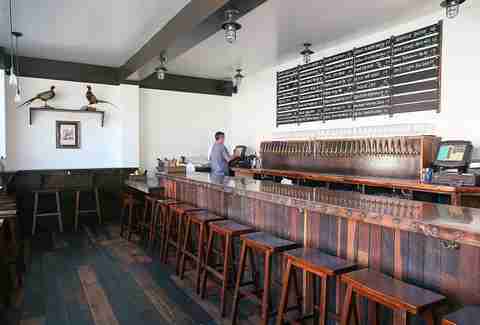 It’s not a best beer bars in SF list if Toronado isn’t on it. After all, Toronado is the bar that basically introduced the city to the craft beer movement and continues to take that movement seriously with a rotating list of 45+ beers on tap (there are 52 total). Frequented by locals and tourists (though the two do not always mesh), this cash only, no-food bar with band stickers on the walls and old tap handles throughout is known for its surly service, but with such a great selection and affordable prices, a little attitude is a small price to pay. Plus, if you read our tips about how not to piss them off, you might even get ‘em to crack a smile. Or at least, you know… not a frown. The #1 tip: Read the board before you approach the bar. Transport yourself to New Orleans at this craft-beer-and-cocktail bar decorated with old doll parts, candles, tarot cards, and even a skeletal cat hiding between two rum bottles. It would be easy for the occult theme at Old Devil Moon to become the thing it’s known for (some of the bartenders even double as tarot readers), but since it’s also owned by three cicerones (in total they’ve got one Advanced and four Certified Cicerones behind the bar), that kind of overshadows the whole witchcraft thing. Well, it does for beer lovers anyway who come for the 18 beers on tap, the world-class draft system, and, more than likely, the huge selection of classic and fancy po’ boys. Whereas some beer bars expect you to educate yourself (ahem, Toronado), Monk’s Kettle is the perfect place to go if you want to expand your beer horizons, but with a little hand holding. The servers and bartenders are all very knowledgeable and happy to share such knowledge, so that whatever you end up trying makes sense for your palate. There’s also a fantastic menu of elevated pub fare if you enjoy your drinking with some eating. We order the pretzel knot with beer cheese fondue every single time, but the entire menu is worth exploring, which you can do until 1am on the weekends. One could go on about the exposed brick walls, the four-sided 30-seat bar, the antique street light fixtures, and the housemade sausages at this American version of the beloved Danish institution, but the real hero at this bar is the carefully curated menu of rotating draft beers, and the fact that those draft beers are all poured at the perfect temperature (40°, 45°, or 55°) thanks to a Flux Capacitor that allows for the CO2 and nitrogen to be blended on the spot. There’s also a good selection of Mikkeller beers (that may be obvious, but worth pointing out nonetheless), and a “secret” room in the basement dedicated to sours. 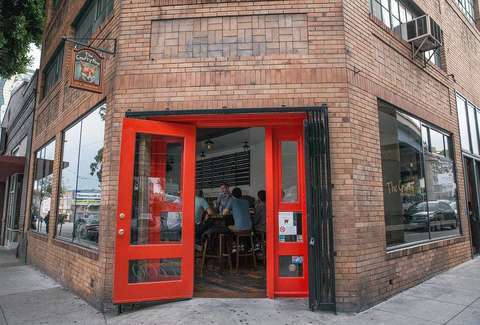 This unassuming, clean and comfortable pub on the border of the Mission and SoMa would probably be fairly under-the-radar if not for the fact that it has one of the best beer selections in the city. There are 36 beers on tap, most of which are between $8 and $12, and though the selection is always changing, you can be sure you’ll be able to find something you like whether it’s local or national. The menu has a few unexpected dishes, like pork and rabbit pate and pastrami tacos, but for those who want something familiar to eat while they drink their beer, there’s a burger and a fried chicken sandwich that consistently hit the spot. This beer bar/bottle shop has 26 beers on tap (plus a few wines), hundreds of harder-to-find bottles and cans to buy and take home or enjoy at one of the indoor or outdoor tables (though there is a corkage fee), and a pretty extensive food menu with options ranging from cheese and charcuterie to deviled eggs to double cheeseburger. The prices can feel a little high, but this is the kind of place you to go try new beers that you wouldn’t be able to find elsewhere, and there’s a premium for that kind of content. Plus, they almost always have Pliny the Elder. Probably the most controversial addition to this list, Zeitgeist isn’t known for a state of the art tap system, bartenders who will walk you through the selections with a smile, or fancy bathrooms. What the cash-only bar does offer, however, is over 45 beers on tap, which are broken down into types so you can easily figure out on your own what you’d like, cheap burgers and brats that taste delicious (especially after a couple of beers), and, the real reason everyone loves it so much: an enormous beer garden that’s the perfect place to raise a pint with friends. Especially on a sunny day. Daisy Barringer is an SF-based freelance writer who once demonstrated how to shotgun a beer for her Public Speaking class at NYU and somehow still managed to get an "A." Follow her on Instagram @daisysf.